East-West is fortunate to be one of 70 schools across the country with a TEALS (Technology Education and Literacy in Schools) program. 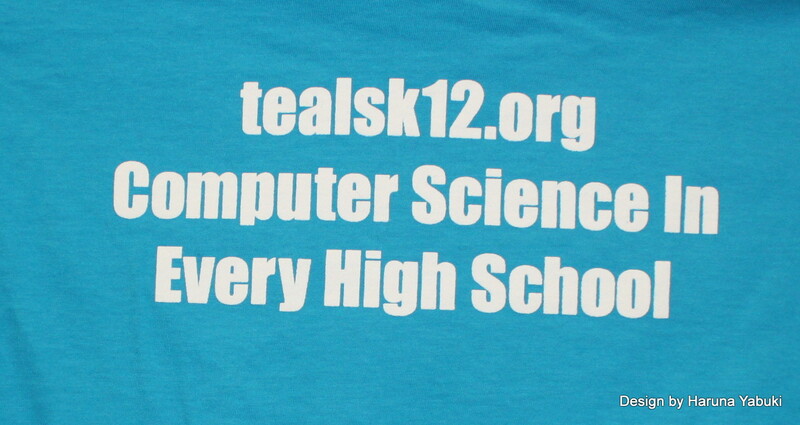 TEALS was developed by Kevin Wang, a Harvard educated Microsoft Engineer who noticed that while there was a great need for computer science education in our high schools, there were not enough teachers able to teach these courses. He envisioned a partnership between industry professionals and teachers which would lead schools being able to offer Introduction to Computer Science courses leading to Advanced Placement - Java classes. When Mr. Wang came to New York City to introduce this program last year, Mr. Sherman saw the opportunity to add another facet to the courses that East-West students may take. He applied to be part of this program, and we are one of four New York City schools to be accepted. We have four industry professionals, Paul Roales, Chris Outram, Michael Thaler and Demetrius Powers, who use a combination of in person and distance education techniques, working with our teacher, Melanie Katz. 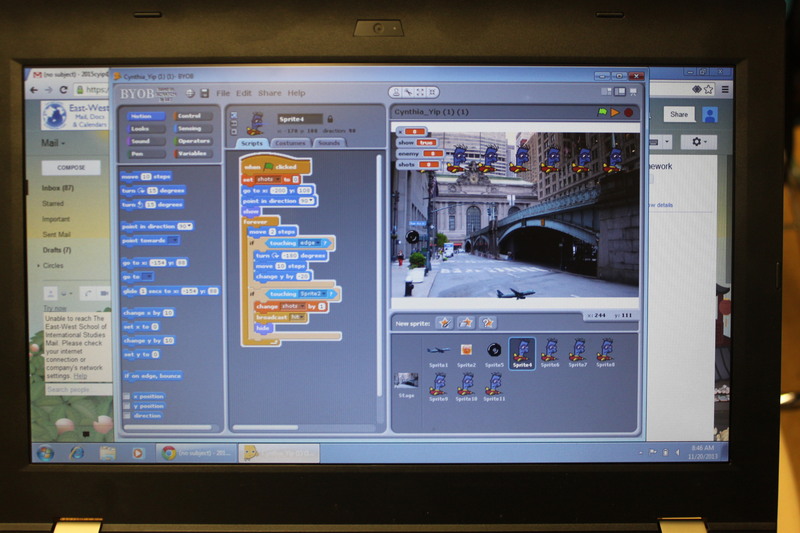 The students are learning how to program in a graphical computer language, Build Your Own Blocks, following the Berkeley College introductory computer science curriculum. 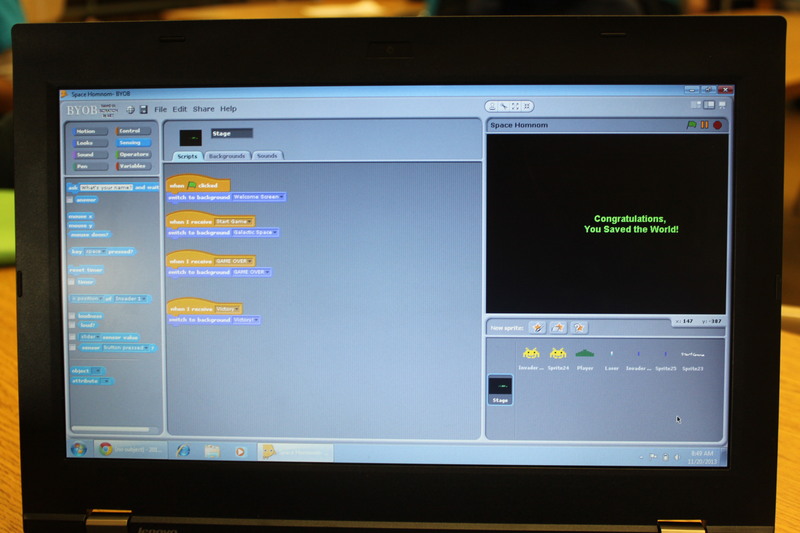 Next year, we hope to offer AP Java. There are several benefits to this program. First, it's helping to prepare our students to become more college-ready with both technology and their critical thinking skills. It also provides them with opportunities to differentiate their academics from their peers at other schools when applying to college. 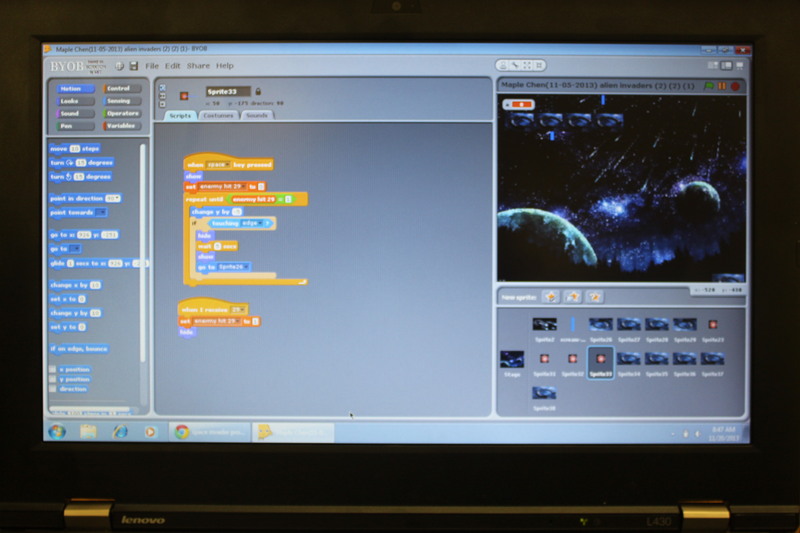 To date, they have written computer games similar to Mario and Space Invaders, so they are having a great time as they learn. 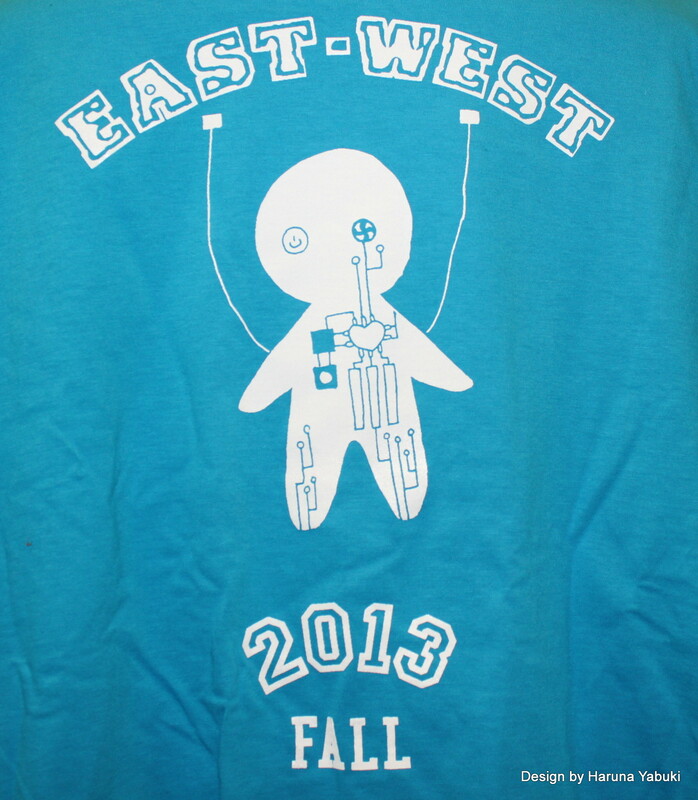 Also, as a TEALS school, we enjoy great support from Microsoft, who was kind enough to provide custom T-shirts (designed by our student Haruna Yabuki) for our class and teachers.